My oldest son, Max, was in the room the other day when I was telling the story of getting a $1,000 donation from an out-of-state friend toward Ebenezers Coffeehouse. The next day, I was reading the Bible with him and we started talking about generosity. Max has seen firsthand the way that God has provided for our family and he is so sensitive to God’s voice (even at the ripe old age of eight years old). 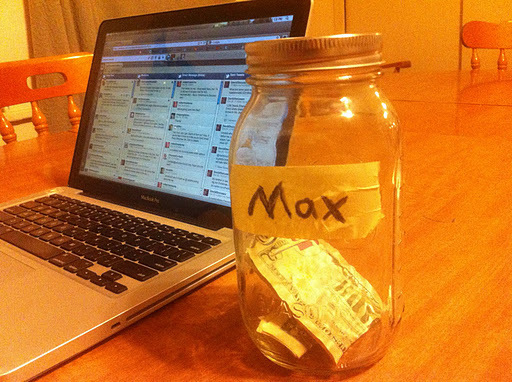 A few moments later, Max came into the dining room with a jar full of money. He said, “Dad, I want to be generous. I have $6.02 that I want to give to help bring Ebenezers to Charlotte.” I teared up. “Max,” I said, “That’s your money and you can do whatever you want with it.” “I know, Dad, and I really want Ebenezers to come to Charlotte. Will this help?” “Absolutely,” I replied. And there you have it. An incredible lesson in childlike faith and overwhelming generosity from an eight year old. May my faith in Jesus be so pure. We’re $6.02 closer to seeing our dream become a reality.